Home Local Nashville How Can We Have More Life – At Any Age? How Can We Have More Life – At Any Age? On December 15, Dr. Jamye Coleman Williams, friend of The Tennessee Tribune, celebrated her 99th birthday. 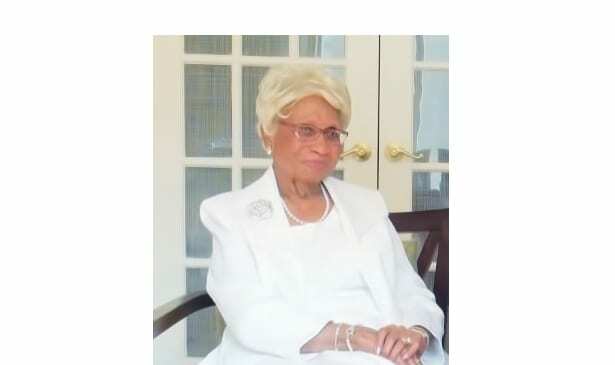 In her long productive life and legacy as an educator at four Historically Black Colleges and Universities, as a civil rights activist, author, and leader in the A.M.E. Church, she has encouraged so many people, including me. Her energy in behalf of having people’s lives better off, and her desire to keep learning, have been inspiring. I am grateful to The Tennessee Tribune for assignments to interview Jamye Williams and to cover talks by her for my articles which are informed by my study of Aesthetic Realism, the education founded by the great philosopher and poet Eli Siegel. Dr. Williams has told me how much it meant to her to have important aspects of her life commented on and explained by the principles of Aesthetic Realism and statements by Mr. Siegel in the feature story I wrote about her in 2016. And now, to honor and also to encourage the life of Dr. Williams as she embarks on her 100th year, Rosetta Perry, publisher of The Tennessee Tribune is proud to reprint the essay by Eli Siegel, “Declaration about Old Age”—with its knowledge crucial for people of all ages. Also this month, Jamye Williams and her husband McDonald Williams, are celebrating their 74th wedding anniversary. I can think of no finer gift for them, and for everyone, than to learn what is our deepest desire in life—to like the world—and how we can be true to it, at any age! Aesthetic Realism sees old age as like all other ages. The desire of a person of eighty to like himself and the world is as keen as it was when that person was eight, or eighteen, or twenty-eight. Another thing that should be said is that reality is always new; and the greatest misfortune of any person, whoever he may be or however old he may be, is not to see reality as tremendously new, subtly surprising, and dazzlingly novel. It is easy to be bored at any age; and being bored is one of the subtler forms of conceit. The statement made by Miranda in The Tempest is still true, and should get a storm (if not a tempest) of approval. Aesthetic Realism sees everyone as not sufficiently interested in reality. The fight between interest in oneself and interest in reality has, so far, not been waged so beautifully. Self, quite clearly, is a more immediate interest and therefore wins out, and has won out. How much a person could keep away from some of the noteworthy terrors of old age if that person were told at the age of two that his biggest desire was to like the world, is a question students of Aesthetic Realism are very much interested in. A child of two wants to like the world, whether he gets a present from an uncle, finds something wonderful in the way of candy, or has a pussycat more than usually nice to him. Still, one can go all through life and not be able to say, “There’s the world everywhere around me; here am I, and I want to see what is around me—that is, the world—in the best way I can, and to like it as much as possible.” It is Aesthetic Realism which says, the more you are conscious that you want to like the world, the more at ease you’ll be. To be conscious of wanting to like the world is a wonderful way of pleasing the unconscious. The great matter is whether the world is an object. If it is an object, it has the opposites in it, including the two great ones of New and Old. The wonderful thing about reality is, at any moment it was never newer and never older. What reality is, is the answer to one’s deepest worries. At this time, Aesthetic Realism is not able to cope with the sad likelihood which can be one’s own as one grows older. Physiology is something the whole world has to be interested in, before its terrors can be understood. The matter of being interested in the world is something else; and Aesthetic Realism has a great deal to say about it. Aesthetic Realism says that any person below the age of thirty, or after the age of thirty, who is not interested in being clearly conscious of one thing he has liked in the last twenty-four hours, does not respect himself or the world of possibility. Aesthetic Realism would like to have every person feel that it was a glorious, splendid obligation to put down as clearly as possible: “I liked the following today”—with description; “It wasn’t me, but I liked it!” Aesthetic Realism feels that if the persons below 48½, or above it, can say proudly, “It wasn’t me, but I liked it”—and say it in writing as well as they can—it will do something against the quite clear and usually victorious terrors of age. The greatest help to old people—and everyone is old in a way, because we are all more tired of living than we know—the greatest help would be to take the question of “How do I see the world?” seriously. It isn’t known that there is an unconscious fight with the world every day. A spoiled child can show this fight. A person who doesn’t get on the football team when he expects to, may show it. If one has a very bad cold, one can show it. The desire to hate the world, have contempt for it, dismiss it, is as steady as the heartbeat. Consequently, Aesthetic Realism says, we are all infants when it comes to understanding the world and liking it. The greatest statement that could be made to a person aged in any way is: “The world is as fresh as ever it was, and therefore your perception of it can be as fresh as any perception you ever had.” To see something honestly is to be born in relation to an object. All honesty is birth. Sincerity is the happy obstetrics of reality. The tendency on the part of persons to feel the world is a disappointment and oneself has nothing to do with it much, comes to a head as one grows older. The beginning message of Aesthetic Realism is: If you want to be strong, like the way you see the world. We all know that you can dislike it; and you can also feel you are fortunate and lucky. The important thing is, whether your luck changes or not, to make up your mind as to whether it has beauty; whether it has meaning. The answer of Aesthetic Realism is that since the world, like a poem, or a bit of music, or a painting, or a tree, is a oneness of opposites in every possible way, the world itself, the cause of all beauty (and of all ugliness too), is beautiful. All education is for the purpose of seeing this. And it should be mentioned that there is an Aesthetic Realism consultation trio that begins with the conviction that the purpose of education is to have one honestly like the world. That is the purpose of education as one goes to kindergarten. It is the purpose as one has lived a long time, and wants to see, even so, the meaning of life and self and the world. It is never too soon, never too late, never mistimed, to see the world honestly and to like it honestly. The message, then, of Aesthetic Realism, to all those persons who consider themselves aged and whom others consider aged is this: The world is waiting for you to see it in a new way. Some people have seen the world in a new way on a sickbed. We don’t want to be melodramatic, but whether you are lying down or standing up or running or jogging, the world wants to be seen in a new way. What this way might be, with the opposites present, and all the arts present, Aesthetic Realism tells about. We think, then, that you are just the right age, that people are just the right age, to like Aesthetic Realism. NOTE: “Declaration about Old Age” was published in The Right of Aesthetic Realism to Be Known, number 727, March 11, 1987; reprinted 2001. The Tennessee Tribune is proud to reprint this essay by Eli Siegel with permission from the Aesthetic Realism Foundation, Inc., December 2017.